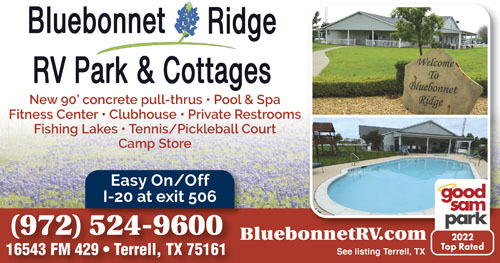 Featuring true Texas Hospitality in a relaxing country setting, we are the perfect place to call home. Enjoy our 64 acres in a country setting with 90' long pull thru sites, a family pool and 5 acre fishing lake. Easy, friendly reservation experience, called to confirm we were still coming "after hours" and allowed late check in. Very accommodating for travelers. Even left us cookies - what a nice surprise! Also, nice dog park- dog friendly. 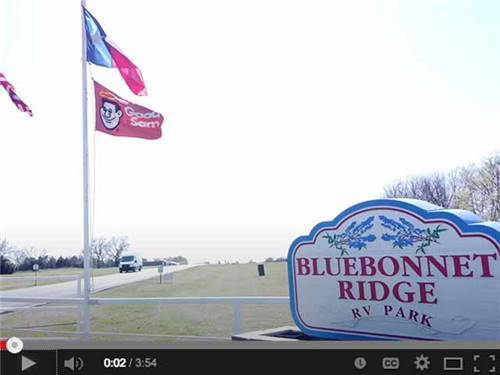 Close to Dallas, but far enough away - not a "downtown" location- easy access off highway. Would go back! Very nice park and well maintained. Has park models in first part of park. Easy in and out. Relatively level. Street is paved and the site is gravel. Site has a picnic table. We were in a pull through, it has 50/30/20amp for the FHU that is plenty long and we did not have to unhook. There is plenty of room between sites. There is a very nice club house with pool table, kitchen, game tables and small store, laundry room. There's a small swing set area, good dog park, tennis court and they sale propane. Only had 2 bars of AT&T service, wifi & cable is good. Bathroom/shower is a private suite and decent size with hot water and good hooks. Exit 506 and follow FM429 about a mile, the park is on the left. They give military and good sam discount. Overnight-er. Restrooms clean though only 2 with shwr for males, same for females. Pool was small, but clean. Clean, level, and nice staff. Sadly like most RV sites, wifi wasn't good! Fairly close to re-enter highway, but avoid gps that takes you down very poor road to shortcut access. Nice BIG pull through sites. Price is good $37. Just a one night stop over passing through, but overall good. It was a good park, gravel drive but friendly people. Great dog park. I would recommend this for a short stay and prices were reasonable.